About 60% of the adult human body is made up of water. So it makes sense that every system functions at a more optimal level when it is well hydrated. The general rule of thumb is to drink half your body weight in ounces of water. So if you weigh 200 pounds, you should be drinking 100 ounces of water each day. Being well hydrated enables your endocrine system to smoothly carry the needed hormones to the appropriate places within your body. It also helps to keep important areas well lubricated and with a proper pH, including cervical mucus. This is a vital part of the journey for sperm to reach the egg. Drinking more water also helps to increase circulation. Good circulation is a huge benefit to egg and sperm health. Guzzling down more water is a fantastic way for an all natural, super gentle detox. It aids the liver to perform all of its tasks with less effort. The liver helps to flush the body of toxins and excess hormones. Adding half of a fresh squeezed lemon to your water can really up the game. Lemon is loaded with vitamin C and potassium and both are fantastic for supporting fertile health. It is a great way to support your immune system and it also helps to fight against free radicals that the body comes into contact with day in and day out. 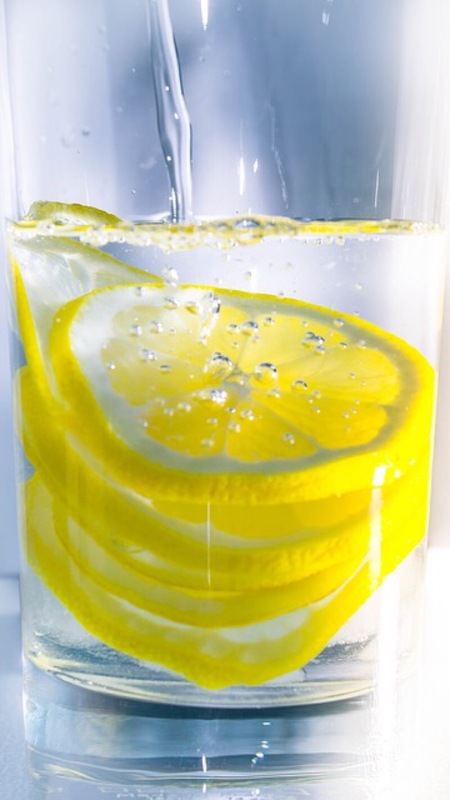 To get the biggest benefit from your lemon water, drink it warm or at room temperature first thing in the morning on an empty stomach. This will enable your body to absorb more and use it immediately. Adequate water consumption can help with digestion, metabolism, mood and also fertility! Get your drink on regularly and you will start to notice clearer skin, more regular digestion, less bloating, more energy, and so much more. It can seem like quite a challenge if you aren’t drinking much water now. If you use water to replace any other potentially unhealthy beverages you may be drinking (soda, juice, coffee) it can speed up the healing process and also help you make the transition with more ease. While you are working to create a new habit it can be really helpful to keep notes throughout the day about how much you consumed and when. Sipping on any fluids before bed time is likely to create sleep disruption. To avoid getting to the end of the day and realizing you need to down a couple of glasses, set a reminder on your phone or computer. Every two hours when your reminder goes off, have a glass of water if you haven’t had any lately.